Ciboney Condominiums is located at 2076 Scenic Gulf Drive, Destin Florida 32550 (was called Old 98) Private Gated Beach Walkover for this 4th floor 'penthouse' condominium with 2 Bedrooms plus a 3rd separate bunk bed room. Built in 1999. Could sleep up to 8 people with a king size bed in master, 2 twin beds in 2nd, 2 bunk beds in 3rd bed/bunk room would be perfect for 2 kids, and queen sleeper sofa in living room. Gorgeous view of the Gulf of Mexico. 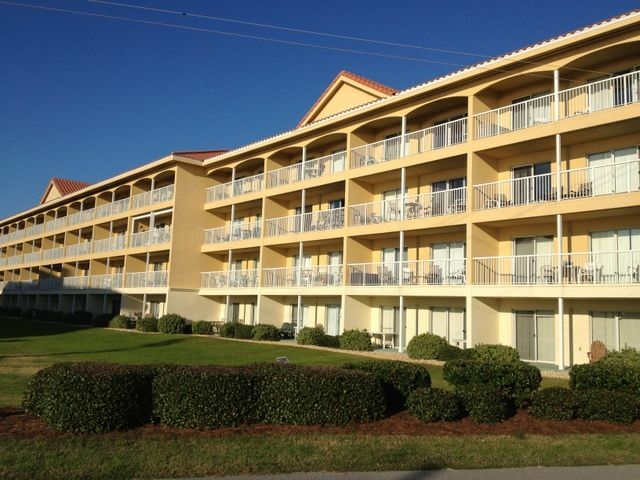 Located near restaurants, beach park, waverunners, kayaks, beach chairs, and umbrellas in the quiet area of East Destin. Less than 150 feet to the private beach and gated dune walkover just across the 2 lane beach road (30 mph) called Scenic Gulf Drive. Super location for the whole family because it's midway between Silver Sands Designer Outlet Mall, Grand Boulevard and the unique shoppes of Sandestin and Destin Commoms for the gals and the fishing charters and the 7 Destin golf courses for the guys, plus the Big Kahuna's Water Park and The Track Amusement Park for the kids, yet away from all the traffic of downtown Destin. * Add 11 % Sales and Tourist Bed Tax to ALL Rates. * Reserve with MasterCard, Visa, Discover or personal check. * Prefer Saturday to Saturday rental (But call and we will see what we can do). As a Graduate of Indiana State University in 1985 with a Business Administration Degree with an emphasis in Real Estate, Jody began her real estate career in Indiana.. In 1991 she moved to Destin, Florida to work along side her father and Broker, Ray Feiler, to take advantage of the many investment opportunities as the quaint fishing village boomed into a popular resort town. Being born and raised in Terre Haute with the Feiler family of 6 kids, parents and grandparents with a strong Indiana heritage and business foresight , gives her the drive to want to always do her best. Jody returned to Terre Haute in 2002 which enabled her to spend more time with her family. As a Real Estate Investor, Builder of spec homes, Property Manager (both Residential and Commercial), and Sales Agent, Jody has an diversified knowledge and experience in the many aspects of real estate. Utilizing her 24 years of experience, she would love to help you find your dream home, investment property, albeit rental or commercial , or even become your Destin Florida Connection. Jody enjoys helping others obtain their dreams and goals. Very organized and thorough when it comes to searching for your new home or marketing your current home with all the latest technology via internet, newspaper, open houses, and advanced publishing skills, you will be glad you gave Jody a call. She will see you through to the last final detail and be your friend in real estate for years to come. The rental manager for her families rental properties in Destin since 1993, you will be confident that she will treat honestly and fairly as she does in her real estate sales profession. Please give me a call to reserve our well cared for units. My father, Ray moved to Destin in 1979 and we followed him thereafter to the newly discovered town of Destin. We fell in love with it and thought of it as a hidden gem. Now known to the world we have decided to share our joy with others. Jody lived in Destin from 1991- 2002 and now goes there about every 3 months to work on the rental properties and see old friends. We love the convenient location to both directions of Destin, yet away from the hustle and bustle of downtown Destin and the main highway through town. We are located on the more quiet area of Scenic Gulf Drive where many tourists fail to get to and miss the best part of Destin. Close to shopping , restaurants, groceries, everything you will need for your stay. Just across the street called Scenic Gulf Drive is the private gated beach access and walkover. Please bring your cell phones. No longer have landline. full size kitchen, nicely stocked with lots of dishes and pans. 6 chairs at dining table + 3 stools at the kitchen bar right by the table. some beach toys, boogy boards, some beach chairs and umbrellas in unit. you can rent them about 6 blocks away. Heated -call for dates heater is turned on. Private Beach Access, Walk to Pompano Joes Seafood Restaurant & Bar, Whales Tail Restaurant and Beach Bar, Alvins Island Tshirts, Coffee and Ice Cream Shops with free Wifi, 7 Golf Courses, Shopping all over, Waterpark, Waverunners, Kayaks, Pontoon rentals, Bike/Jogging trail along Scenic Gulf Drive Beach Road in front of unit.